You can display any port tooltips by clicking on a port or connecting a cable. 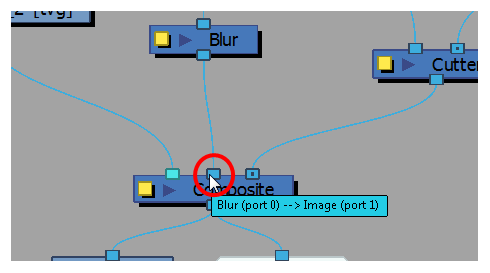 In the Node view, hover the pointer over a port. The port's tooltip displays source and destination information. Click on any port to display the port type label. The label will also display as you connect cables into ports.